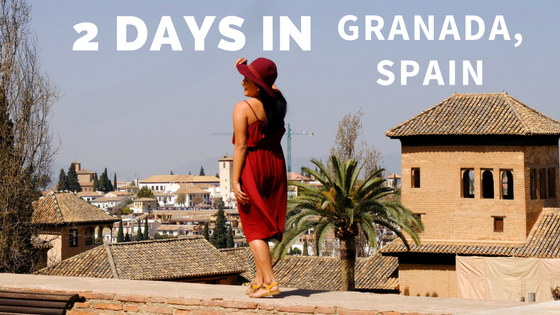 Ahh, Granada — who knows this place can evoke both serene majesty and explosive adventurism at the same time? Located in Spanish Andalusía, the province has enough twists, turns, and surprises to enrapture even the most jaded travellers. We arrived in Granada at around lunch time, and headed in a bee line towards Plaza Nuevo. This is a well-advertised place and hence has a lot of tourists. The service was a little slow, but they served good food. To their credit, they did their best to serve the number of people flocking to them for lunch. The ambience was great, too, so we stayed there some time. After a hearty meal, we walked around the cute shops and streets of Granada. This is where the “serene majesty” part comes in. 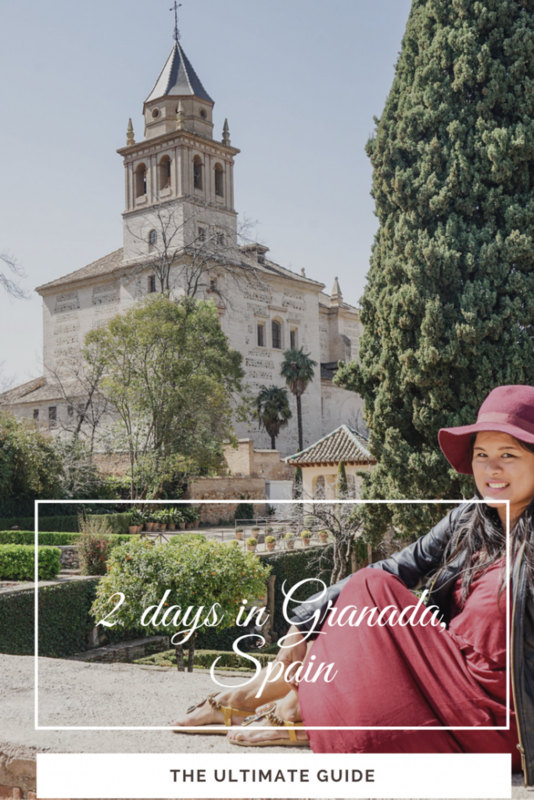 The winding streets were adorned by the silent beauty of the churches and the Catedral de Granada, which we also passed by. We spent the afternoon just looking around, enjoying the town, and taking in the sights.Think of it as getting acquainted with the place before we dived headfirst into the adventures of the next day. After the afternoon stroll, we headed to Bodegas Castañeda at Travesía Almireceros. It’s a great place that plunges you right into the local scene. And that’s not just because of the trappings and the service, but also because there are really a lot of locals here! We ordered their platter, which is something we really loved. 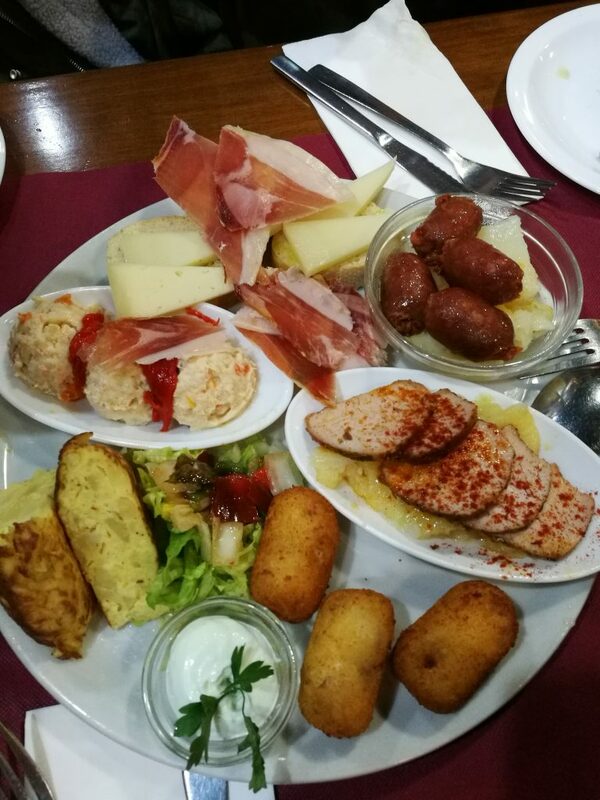 It’s a definite must-try for your first dinner in Granada. The platter had everything, from bread and cheese to salted meat and greens. If you’re not full after this dinner, what a bodega you must have down there! Before our day ended, we heard about a certain night tour that would take place the next evening. We signed up for it, though we really did not have an idea what awaits us. Fortunately, it was a pleasant (read: grueling) surprise that would unfold soon enough! It took us four hours to tour the entire complex. First up was the majestic Nasrid Palaces, sometimes called the “Alhambra proper”. It used to be the palace of the Moors, and showed off their once-opulent lifestyles. Right next to it is the Alcazaba of Málaga, which is a citadel that originally protects the surrounding areas. The views here are just perfect! Of course, there’s also the Palacio de Generalife, gardens that bloomed from the time of the Emir who first erected Alhambra’s glory. We also toured around the more modern (in comparison) palaces constructed by King Charles. 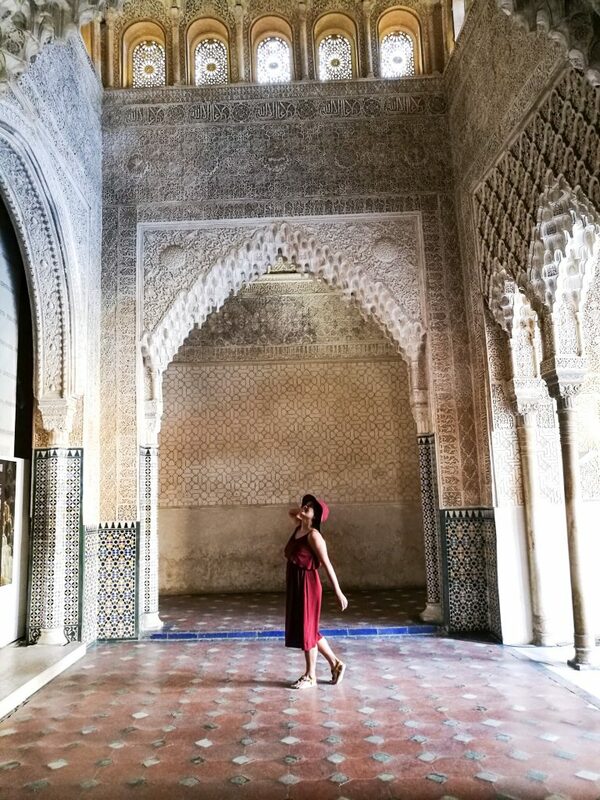 Of course, no tour in this grand complex is complete without passing through the Museum of Alhambra. From that time, up to the tour wrapped up at around 9, was a test of physical abilities amply rewarded by a remarkable vista. Truth be told, we wouldn’t have discovered that side of Granada had we not joined the tour. Our guide led us mercilessly up steep hills and into narrow tunnels, walking around the Albayzín district and lumbering up towards the caves of Sacromonte. We were also led up to the Mirador de San Cristóbal, with a commanding view of the Alhambra’s floodlights. We heaped up quite an appetite after the adventure, and we settled down at Löwe for dinner. We had pollo tandoori, and brownie de chocolate (a la mode, at 5.50 Euros!). This was pure heaven! The moist brownie made my friend remark she’d like to have this instead of cake for her wedding. It’s that good! Finally, there’s “Flor de alcachofa con tierra de pistachos y setas y virutas de jamón” — artichoke flower, pistachio, mushrooms, and ham shavings! 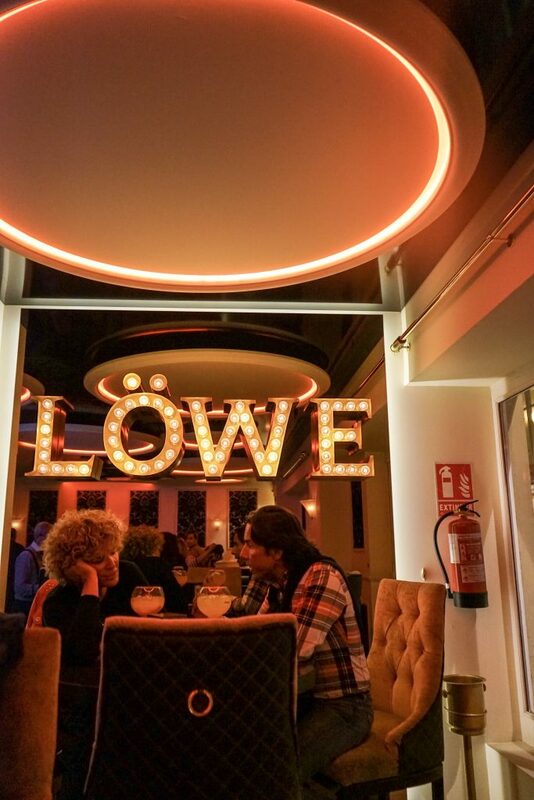 Within the classy, home-like ambience of Löwe, the meal was the perfect punctuation to a long, fun day. During our stay at Granada, we lodged at the Hotel Residencia Guadalupe. This was literally within the confines of Alhambra, which is awesome. It’s also perfect for an early morning trip to the wonders of the fortress. This is a good place to stay if you only had a couple of days and one night to spend in the province, but if you will be here long you might want to stay within the city. That’s so you can experience the vibrant night life and get more out of the cute shops around. 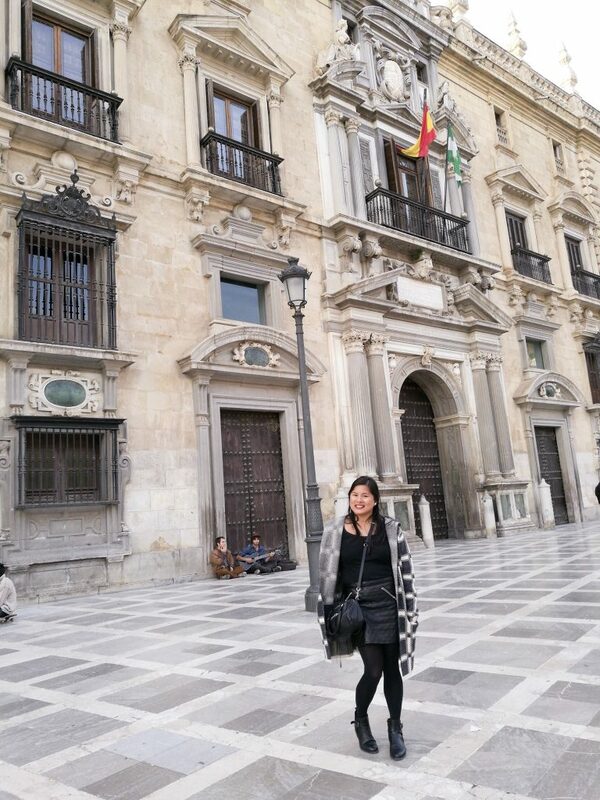 From where we stayed, it took us only 15-20 minutes to get to Plaza Nueva. It’s not that far, but you might think differently especially if you have been walking for the better part of the day (and battered to awesomeness by Play Granada in the evening). When this happens, it might be an Uber ride home for you, like it is for us. That’s around 10-11 Euros, but there were four of us girls so it’s not so bad. In truth, Granada will forever change the connotation of the word “province” in your mind. You just have to be here to see for yourself. 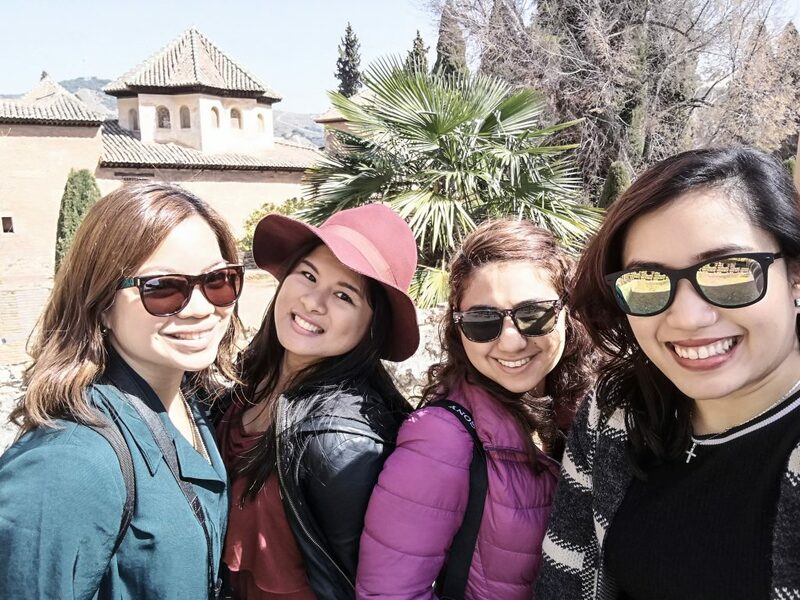 We’ve always wanted to go to Granada to visit the Alhambra, but have never made it yet! This post is reminding us that we should really do it quite soon! 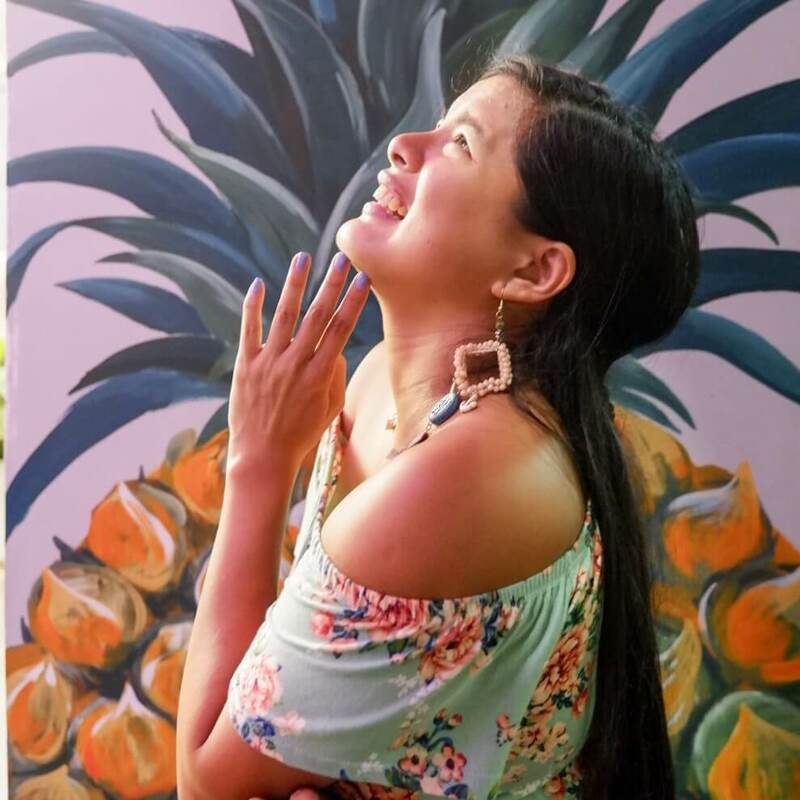 haha… Thanks for sharing these beautiful photos. 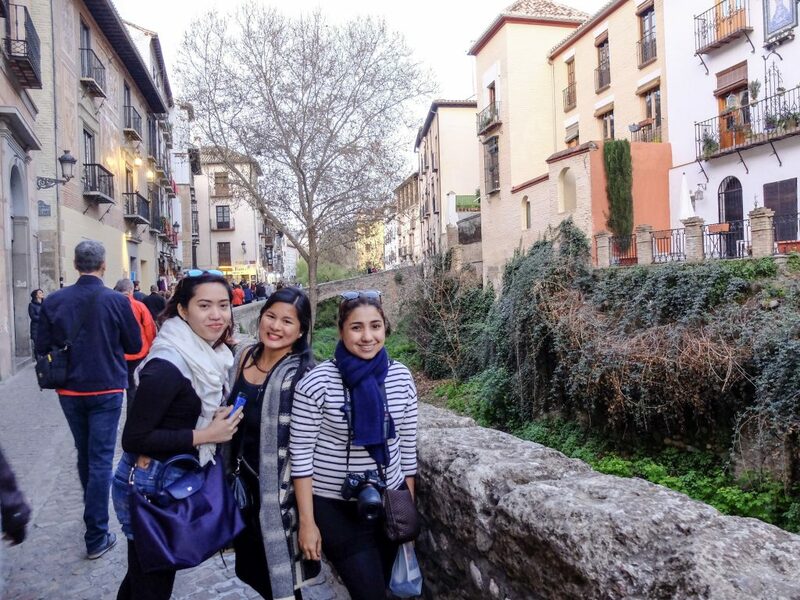 The Alhambra fortress tour sounds amazing and so does the local cuisine! I’ve never been to Spain (well to Tenerife, does it count?!) 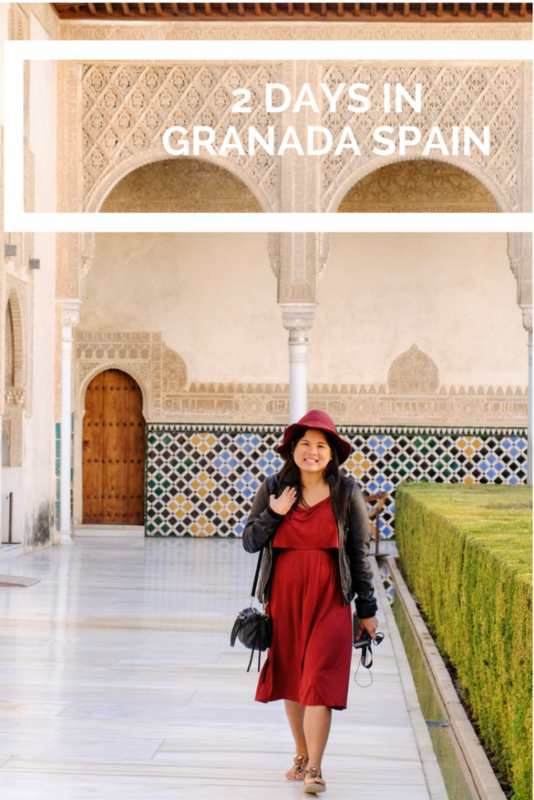 and now Granada really makes me want to go soon!! I have had a trip planned to this area for several years and never make it there. 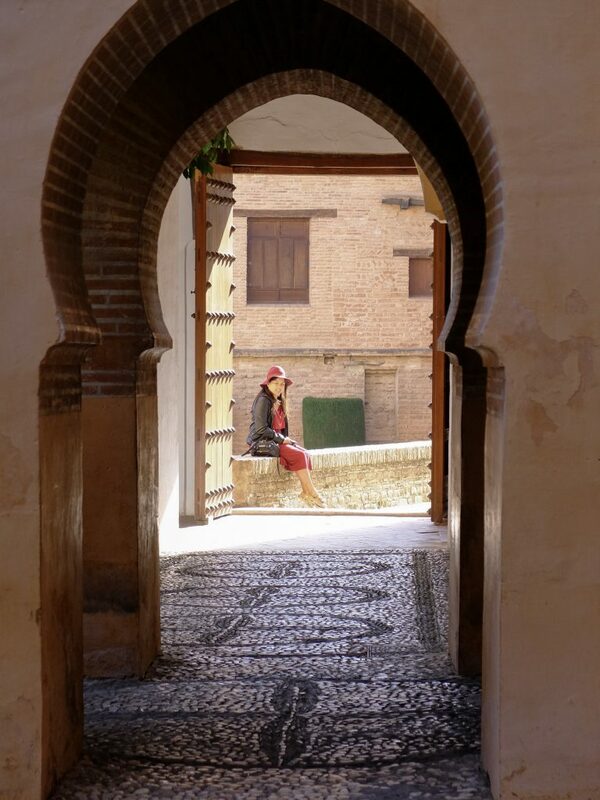 Would love to visit the Alhambra, it’s on my list! 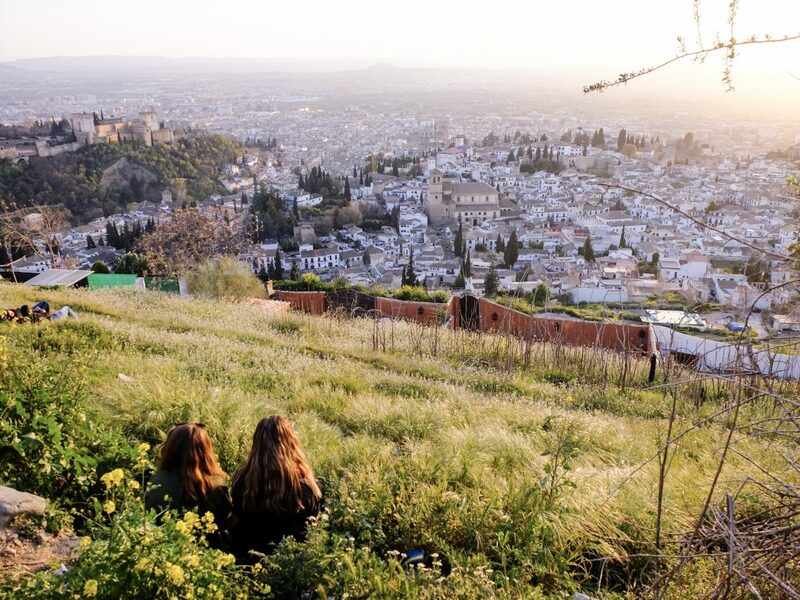 We went to Granada and Alhambra in 2012, and we loved every second. It is absolutely stunning. You have some lovely photos of the place, it brings back such nice memories. Granada sure looks enticing! And I’ve heard so much of Alhambra. It really looks majestic. Only one of the most important places in the history of Christianity… Indeed, you have to be there to understand. Great photos! Wonderful photos! I haven’t been to Spain yet, but I am imagining myself in your photos and eating the delicious tapas! Great post! That was me, 5 years ago, so this time, we went back and did in depth spain. We loved it.